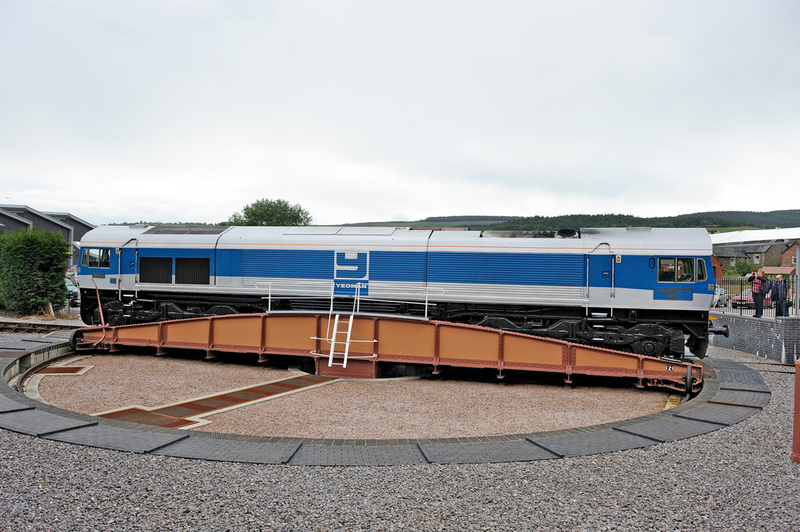 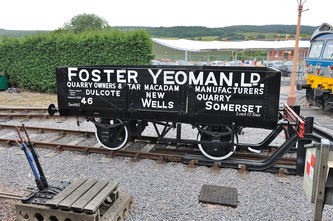 10 June 2011 was a notable day in the history of Mendip aggregate company Foster Yeoman, when it marked the 25th anniversary of Class 59 operation in the UK. 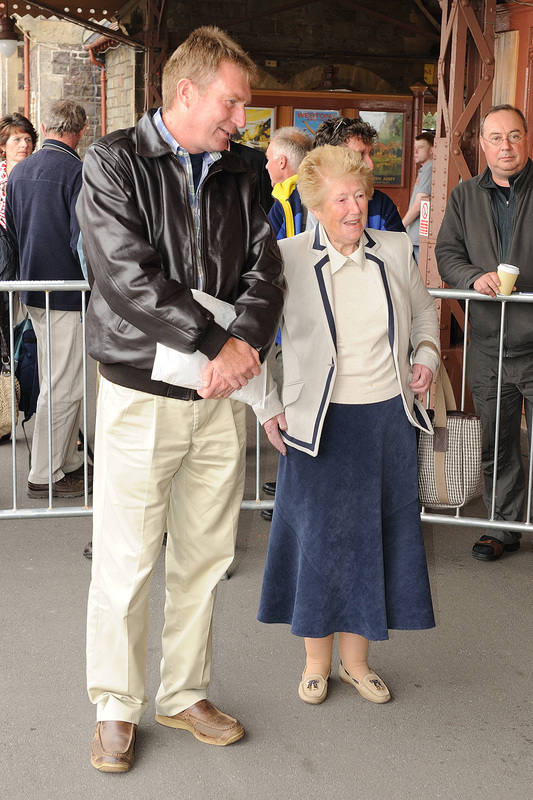 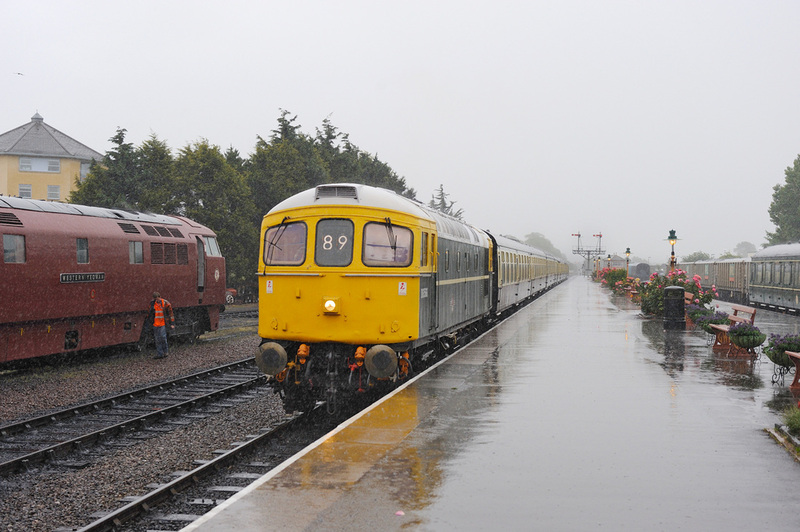 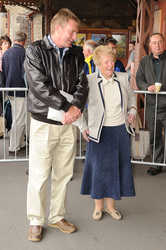 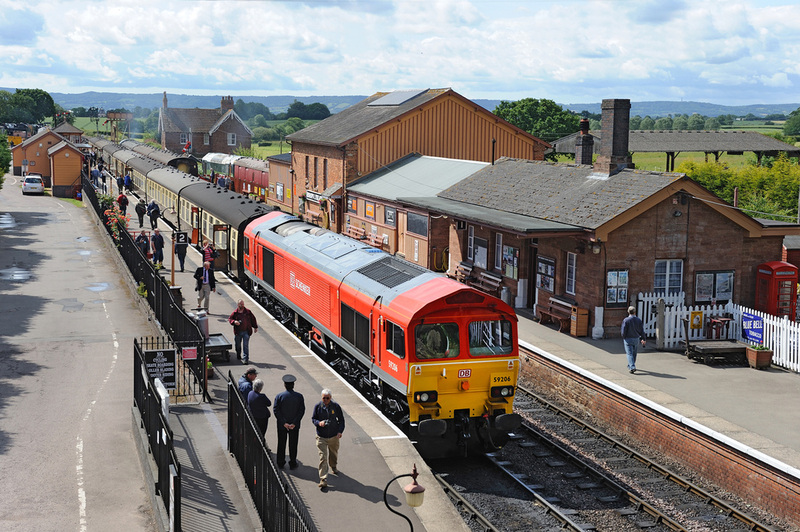 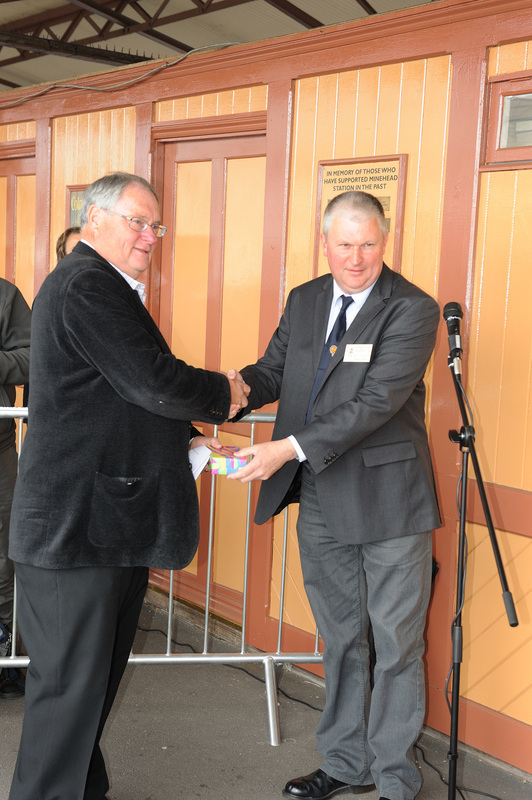 Although the actual anniversary of the '59s' entering traffic was in February 2011, A special event was held at the West Somerset Railway, where as part of the line's Mixed Traffic Gala Event over the weekend of 10-12 June 2011, four Class 59s operated. 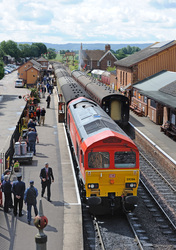 The special celebration held on 10 June, saw the 11.00 departure from Bishops Lydeard powered by DBS red-liveried No. 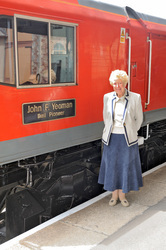 59206 John F. Yeoman Rail Pioneer with around 60 specially invited guests enjoying coffee on the 20 mile journey to Minehead. 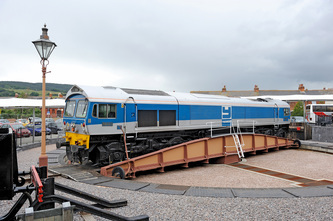 At Minehead, the second of the FY build No. 59002 was placed on the turntable, while 'Western' No. 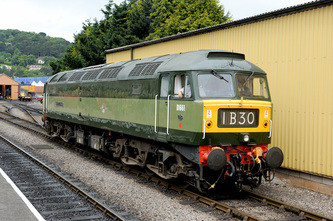 D1010 renumbered as No. 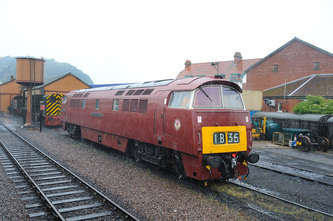 D1035 Western Yeoman and posed in the platform. 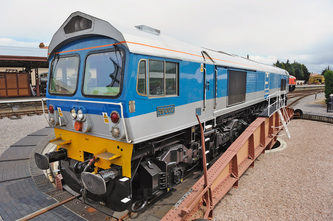 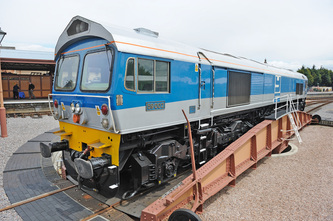 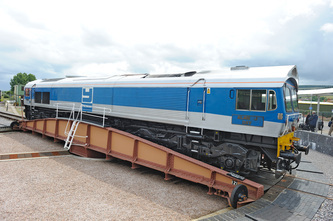 All the key players in the Class 59 story were present, including Mrs Angela Yeoman, John Yeoman's widow (one of the founders of the Company, Mendip Rail Managing Director Alan Taylor and David Russell, who as BR Railfreight Engineer 25 years ago was one of the main supporters of operating private traction in the UK, David still plays a major role in the daily operations of the FY fleet, being a consultant to Mendip Rail. 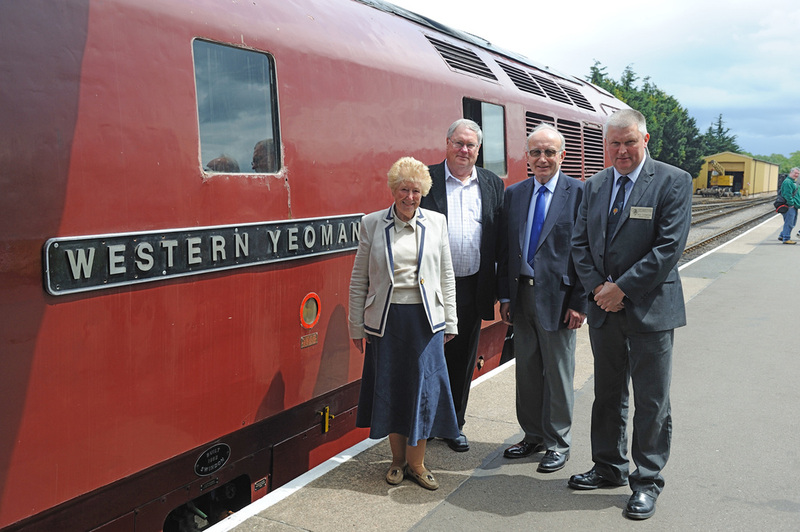 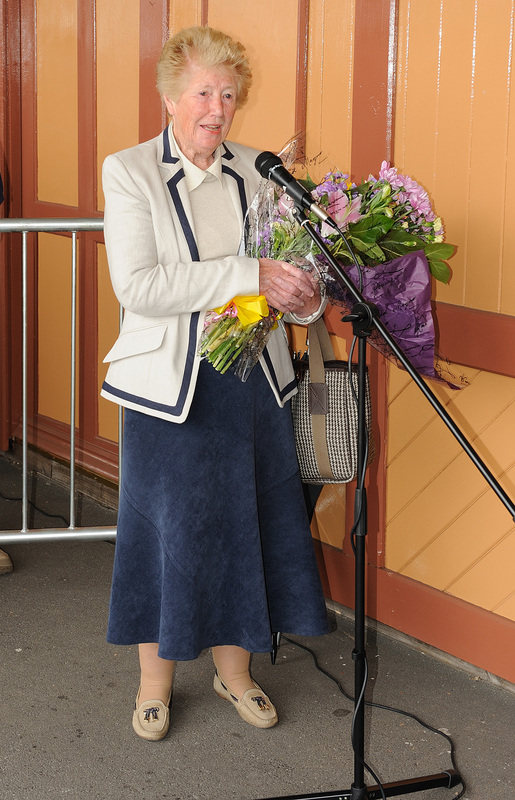 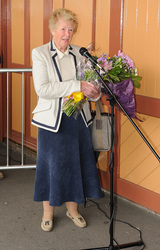 After speeches from all key players, including Mrs Yeoman, a, informal buffet lunch was served locally, before the party returned to Bishops Lydeard on the 15.00 departure. aptly powered by 'Western' No. 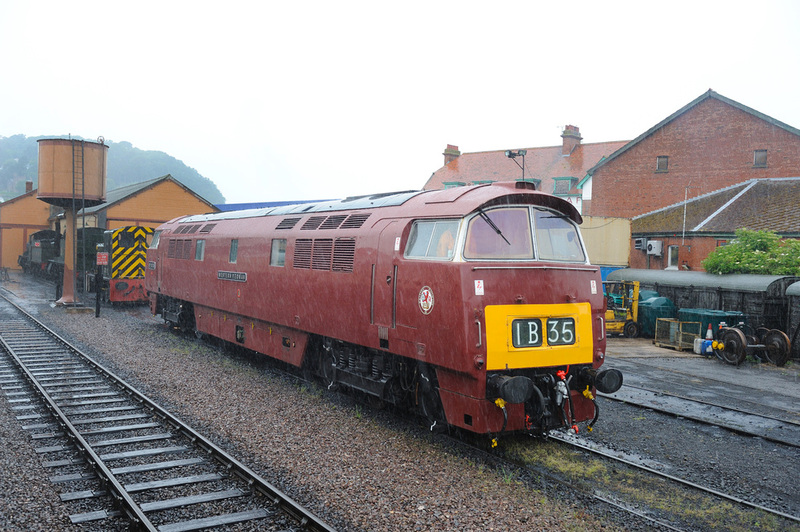 D1035 Western Yeoman. 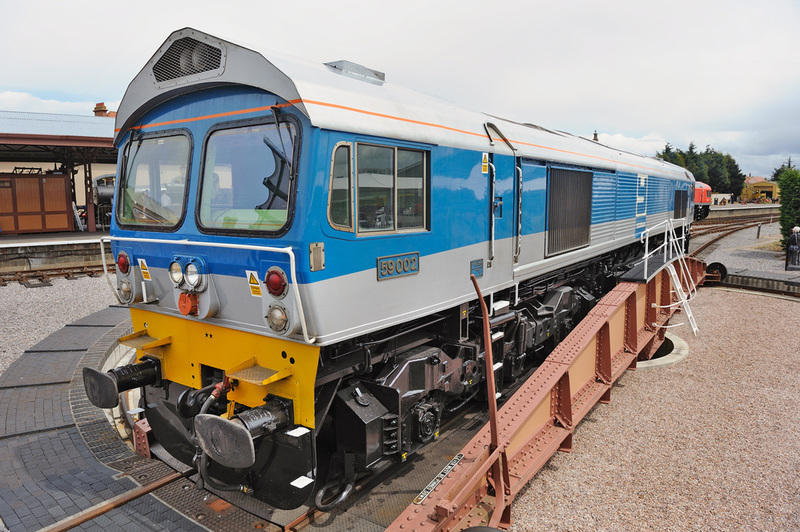 Over the last 25 years the Class 59 fleet has clocked up a staggering 12 million miles of operation and are still one of the most reliable classes of diesel in the world, attaining over 95% availability and operating between failures an average of 59,000 miles. A true credit to Foster Yeoman, Mendip Rail and builders General Motors/Electro Motive. 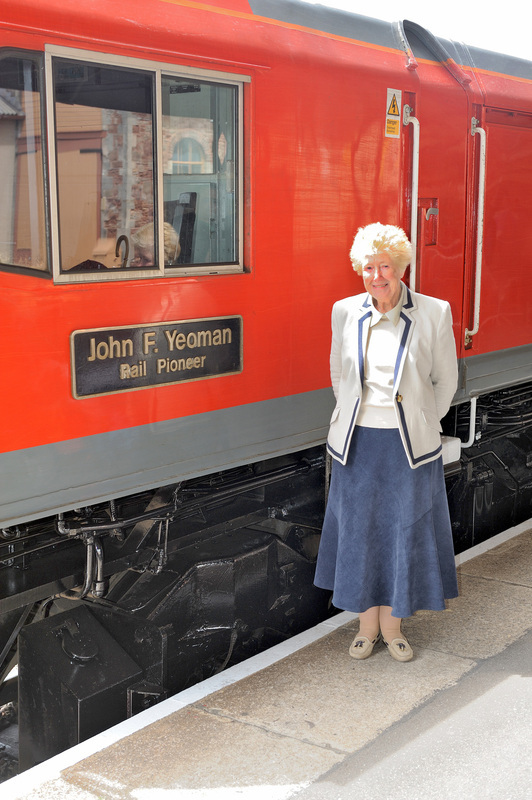 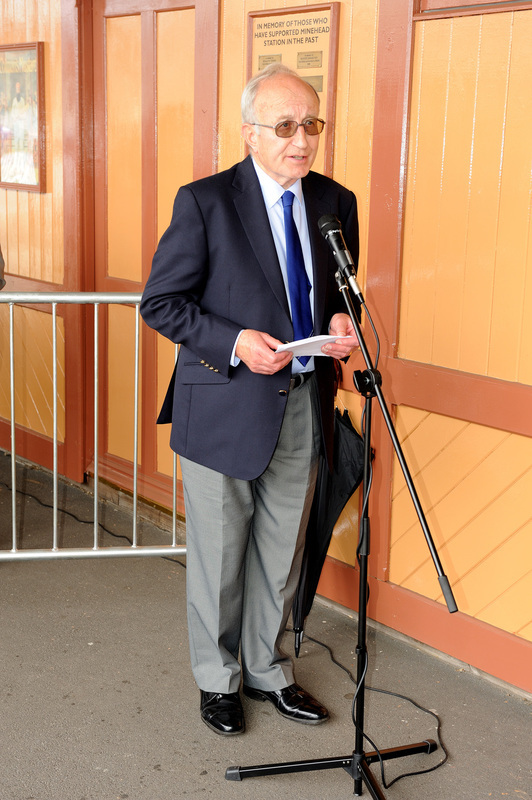 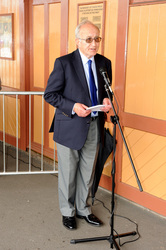 Sadly two people who were the backbone to the '59' story Mr John Yeoman and Rail Director Ken Painter have since the locos were introduced passed away. 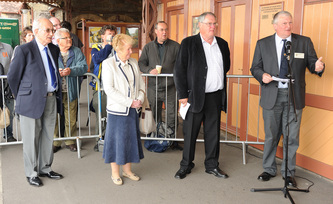 A selection of images of this historic event are shown below.